For a long time I’ve found it very hard and even “not nice” to say no, or even make someone else feel bad. In fact I think that was a learned behavior. It turns out that I was the one that felt the worst when these situations came up. I recently had an occasion to really think about this and set some of my own very strict boundries. 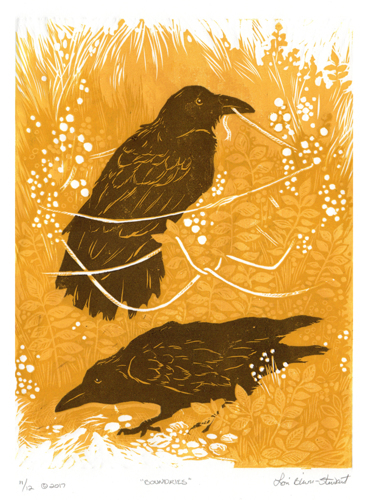 “Boundaries” is a reduction linocut print. I love the color yellow, especially this mustard color.